We are huge fans of reading, and I am happy to say so are all of our kids here at You Brew My Tea. That’s why I wanted to share some of our Top Kids Book Club Books that are for all different ages. This list has great options you can use for group reading with friends, or a formal book club. This post contains affiliate links. I will earn a commission on purchases made via these links. Even if you don’t read to your child every day, reading is an important part of your routine. We started reading at an early age with our son, and pretty soon he could pick the books he loved and bring them to us to read. That includes some of these popular items on this list, as well as some we had handed down from parents and grandparents. We hope the lists below help you with your kids and potential book clubs in the future! 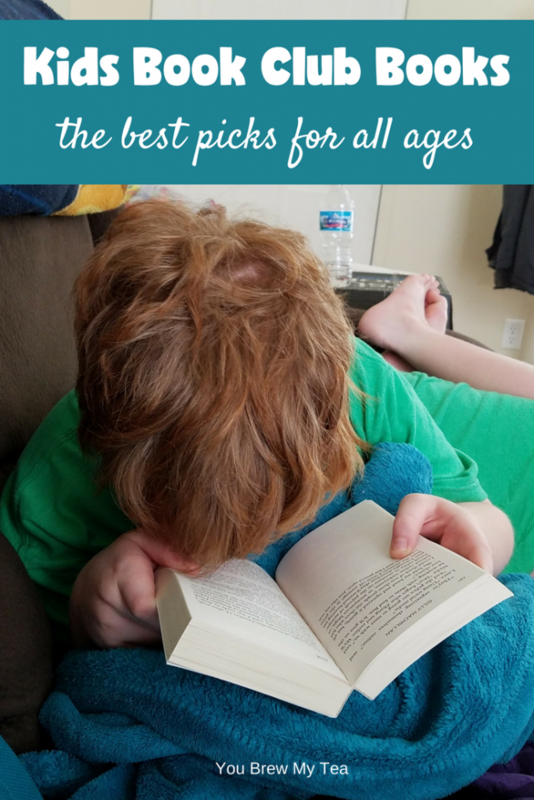 Take advantage of our favorites list to create a kids book club books list that you can work through with your children. These are all perfect for reading in leisure time or for educational purposes if you are a homeschooler!